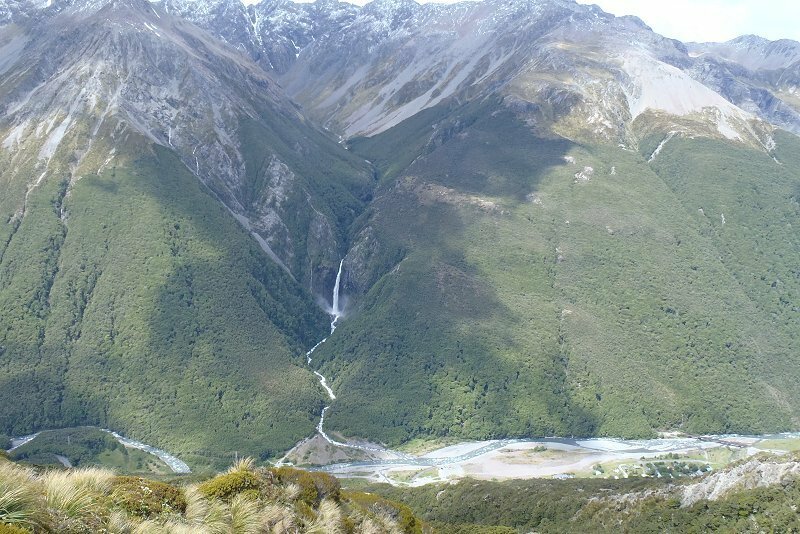 FEATURES: Great views of waterfalls, Arthur's Pass, Mt Rolleston. HAVE A "PLAN B": If Avalanche Peak is out of condition with poor visibility/rain/wind, consider the Bealey Spur Track as an alternative. The weather can be much finer east of Arthur's Pass. WHEN THERE IS SNOW ON AVALANCHE PEAK IT CAN BE VERY DANGEROUS. MOUNTAINEERING AND AVALANCHE ASSESSMENT / RESCUE SKILLS ARE NECESSARY! This is a "day walk", leave early to allow for sufficient daylight hours. If there is a poor weather forecast do not attempt this route. If there is fog/cloud cover on the mountain turn around. TELL SOMEONE YOUR PLANS, and remember to let them know when you return safely. 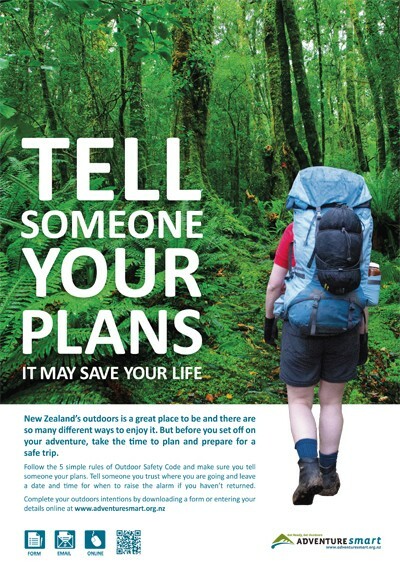 Take sufficient clothing, food, water & medical needs to be able to survive a night out in cold wet conditions. Search & Rescue activity should commence the day following your intended "out date". Test your cellphone in Arthur's Pass Village, if it works there, take it with you, it should work on all Village side aspects of this mountain, if you get lost or in trouble call 111. If you become lost, retrace your steps if possible to refind the correct route (orange or yellow poles). If you cannot, find shelter (rocks, trees, tussocks), stay where you are. DO NOT push into the treeline too far except to seek shelter, there are large hidden cliffs and alternate ways down DO NOT exist. If you are not on the marked bush track (orange triangles) STOP! DO NOT follow streams/creeks off the mountain, many of these go over very large waterfalls or contain extensive loose rock. If you see searchers (helicopter, ground crews) or other walkers attract attention by moving to open ground, yelling, waving bright clothing. If you are injured leave something bright in clear view near you in case you lose consciousness. LOCATION:: The "new" start to this track is signposted at the beginning of the very first bridge on the Punchbowl track, this takes you up across the highway and onto the original Scott's Track. Do not walk up the highway as there is no longer a formed foot-path! DESCRIPTION: Scotts track is the best local track for views of village, Punchbowl falls and surrounding mountains. The track climbs on an even grade up to boggy terraces which are reached in 1 hour and are a good place for views. The track continues onto the bushline (1.5 hours). If visibility is poor at this point, STOP, hold your ground and wait for a possible improvement, if visibility remains poor TURN BACK! The best views commence about 20 - 30 minutes outside tree-line at an old metal survey station beside the track. It then climbs steeply following a route marked with orange tipped poles along a rocky ridge. Avalanche Peak is reached after 3 - 4 hours from the valley floor. Scotts Track connects up with the Avalanche Peak track (yellow markers) just below the summit. The final ridge is a razor-blade with cliffs on either side, only venture out here if confident of heights, and the wind-speeds are low. The round trip is possible, but only in fine weather and good track conditions. 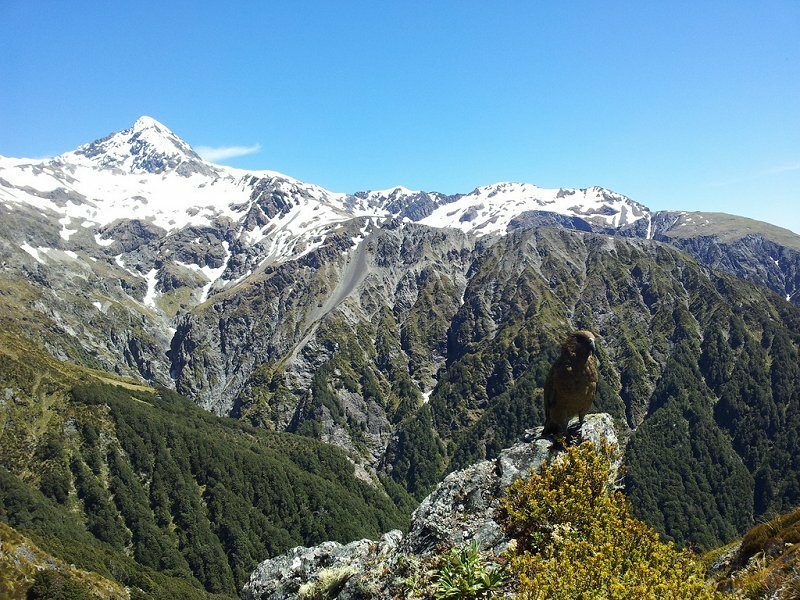 For the round trip it is recommended to go up Avalanche Peak track and down Scotts track as Scotts is a more gradual descent and easier on the knee joints.